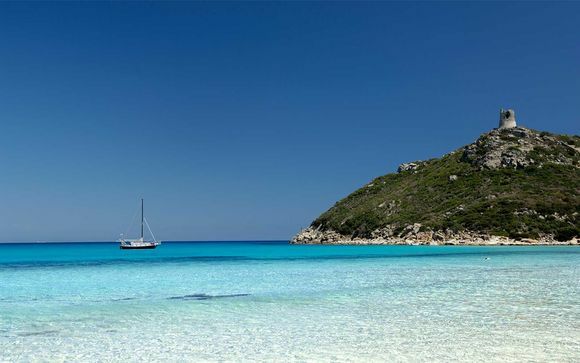 Sardinia Travel Guide up to -70% off To take advantage of these offers, join now for free! 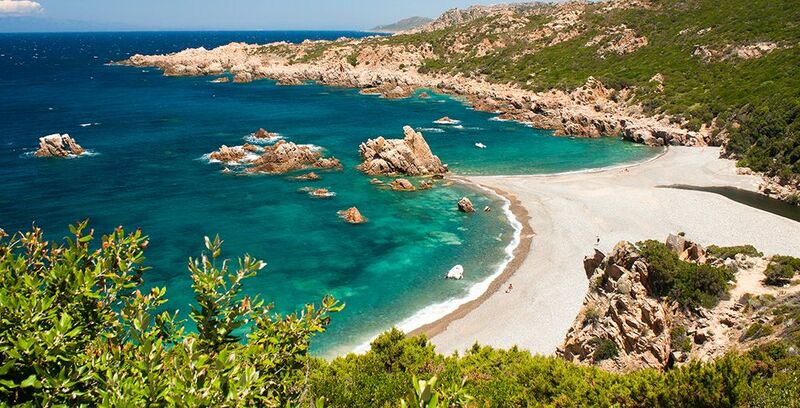 The beautiful Italian island of Sardinia is famed for its exquisite beaches and fantastic cuisine. It is the second largest island in the Mediterranean Sea behind Cyprus and Sicily and is located just to the west of the Italian peninsula. This magnificent island boasts a coastline almost 2,000km in length and some of the most breathtaking scenery imaginable, with rocky cliffs, mountains, thick woodland and long, sandy beaches. The friendliness of the locals makes this a perfect holiday destination, whether you’re travelling solo or with family. The capital and largest city is Cagliari, followed by Sassari, Quartu Sant’Elena and Olbia. 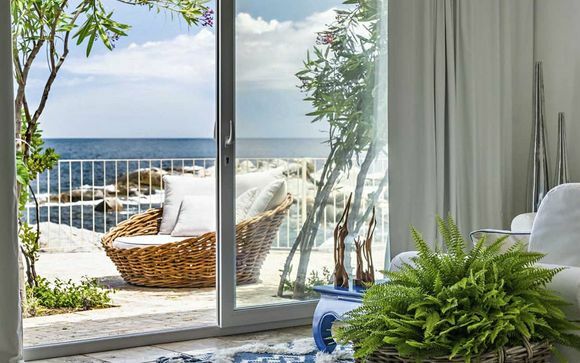 We offer three different packages to various regions of Sardinia, each providing world-class accommodation from which you can explore everything this incredible island paradise has to offer. The island’s only World Heritage Site including a tower dating back to 1500BC. To get a feel for the history of Sardinia, this is a must on your itinerary. on the Spiaggia della Pelosa, with its dreamy white sands and glittering turquoise waters. This is a great destination for families. The island’s most stunning limestone gorge. This spectacular landmark is sure to take your breath away. It is home to artefacts dating back thousands of years and a great way to gain a better understanding of the island’s history. An elegant 13th-century cathedral in the city centre. Beautiful from the outside, the inside is also worth a closer look. You can see more of the island’s stunning countryside and hopefully spot some of the island’s resident albino donkeys. It houses all sorts of local handicrafts relating to the island’s folklore and culture. Also called Neptune’s Cave, a breathtaking cavern which can be reached by ferry. The stalagmites and stalactites make this an almost fairytale-like natural formation. The citadel whose domes and towers will be familiar from all the postcards. The island’s exquisite protected marine park. 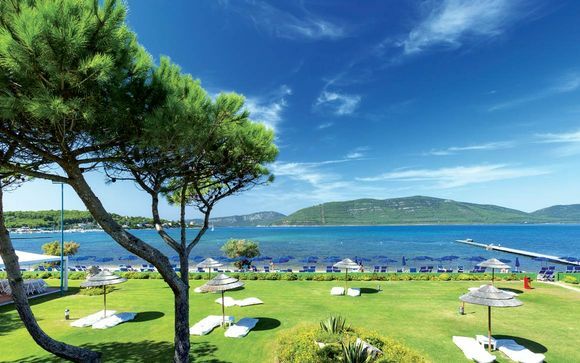 Sardinia is a great destination all year round, with mild winters and hot summers. Whether you’re after winter sun or a long summer vacation, the pleasant temperatures mean this is an excellent choice. Even in January, the average daily temperatures hover around the 14°C mark in Cagliari, while in the summer the mercury rises above 30°C. Flights to the city of Olbia take off from Gatwick, Luton, Manchester and Bristol airports, and flights to Cagliari from Gatwick and Stansted. 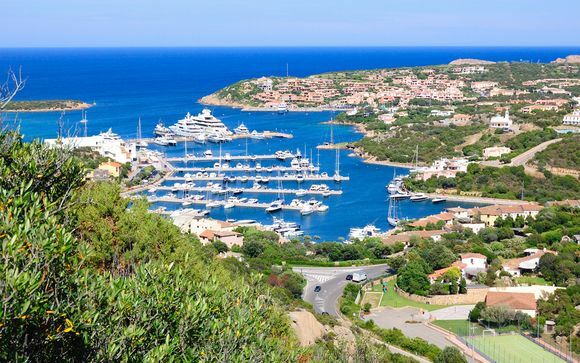 You can also reach the island by ferry from the mainland of Italy, with boats docking in the city of Olbia. 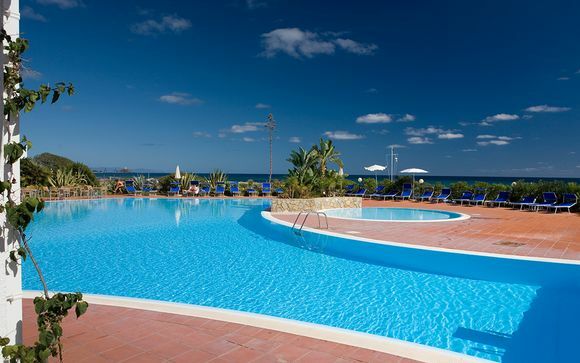 This hotel is a five-star establishment at the heart of the stunning Capo Carbonara, with unparalleled views of the salt lagoon and just 10 minutes’ walk from the fantastic beach. Nearby you’ll find opportunities to play golf, go swimming or take a tour around one of the local vineyards. This hotel is set in a secluded cove and enjoys scenic views of the ocean, with its own private beach, swimming pools and wellness centre. The staff here are incredibly knowledgeable about the area and always happy to give you advice to help you get the most from your stay. 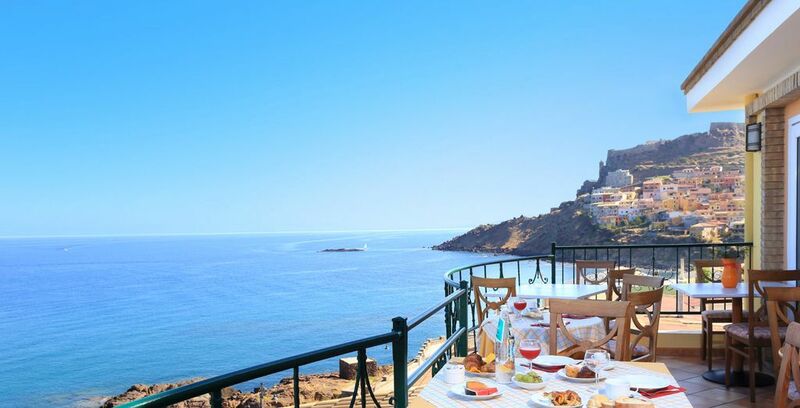 This hotel is another five-star establishment, featuring elegantly furnished rooms with stunning sea views, private garden, a jacuzzi and spa treatment services. This exclusive hotel is one of the best places to stay and has its own seaside swimming pool, as well as a kids’ club for the little ones. Sardinia is the only autonomous region of Italy and is very proud of its unique culture and traditions. Dotted around the island you will find Megalithic buildings known as ‘nuraghes’, with the Nuraghe Su Nuraxi being the island’s World Heritage Site and well worth a trip. As you would expect from an island, the cuisine features a lot of fish and shellfish, but Sardinia is also well-known for its wild boar, cheeses and herbs. One local speciality you must try is pane carasau, Sardinian bread famed for its thin crispness and the perfect accompaniment to olives and dips. The art is heavily influenced by the classical Roman style, with mosaics a feature in many historical sites. You will also find some incredible medieval artwork, as well as the intricate fine jewellery made on the island. Being an island has meant Sardinia is quite insular and has preserved many ancient customs and traditions which are unique to the island. During festivals and public celebrations, don’t be surprised to see the locals donning traditional Sardinian costume, often pastoral in nature. In some smaller towns and villages, you might be able to take part in ‘canti di tenores’, traditional songs sung a capella. These provide a wonderful focal point for the community and are great fun even if you can’t sing along. There are plenty of carnivals and festivals held throughout the year, with the historical Giostradel Saracino taking place in the latter half of June in Arezzo. Another popular event is the Shampitta Folk Festival held in Quartu Sant'Elena, which sees music, dance and local crafts. It's well worth a visit if you’re lucky enough to be holidaying here at the right time. Sardinia is an extremely safe and welcoming place to go on holiday, but it always pays to take extra precautions to keep your passport and money safe. Having a secure bag which you can zip up and keep on you at all times is sensible advice. Bear in mind that, although we’re in the Mediterranean, it can still get chilly in the evenings and Sardinia can be battered by strong winds from the ocean. You might want to pack some extra layers just in case. Although the local water is safe to drink, you may get an upset stomach because your body isn’t used to it. It’s worth bringing along charcoal tablets or other anti-diarrhoea medication, just to be on the safe side. You’ll find all sorts of wonderful souvenirs of your trip to Sardinia. The island is known for its cork, and you can buy everything from trivets to earrings crafted from the material. Punt ‘e Nù is a traditional form of embroidery, and you’ll find tablecloths, rugs and jewellery made using this incredibly intricate style. The island is also famed for its exquisite filigree jewellery, which makes a fantastic gift or memento. Traditional basket weaving is also a popular choice of souvenir, as are the beautiful terracotta ceramics you can find at markets and craft fairs. The currency of Sardinia is the Euro. Sardinia is precisely one hour ahead of the UK when it comes to time difference. The main languages spoken in Sardinia are Italian and Sardinian, but as a major tourist destination, many of the locals will have a good knowledge of English too. 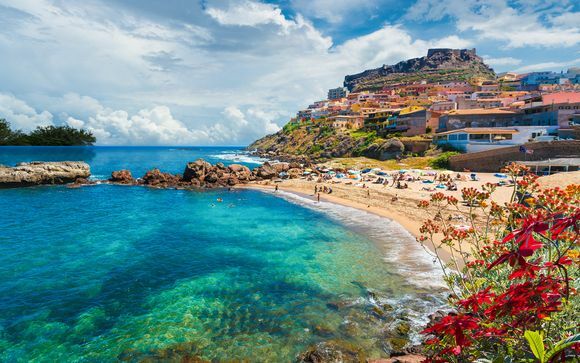 The easiest way to get to Sardinia is by plane, with flights leaving from Gatwick, Stansted, Luton, Manchester and Bristol. If you book a package with Voyage Privé, you can choose your flight and know you will have reserved seats for the outward and return journeys. There are also ferries between the island and the mainland of Italy, but it’s worth checking running times in advance. Temperatures even in the winter are mild, so comfortable cotton clothes are a good idea. That said, it can get chilly along the coast in the evenings even at the height of summer, so packing some thicker clothing is essential. You might also like to pack a good pair of walking shoes, as the national parks are always worth a trip but the terrain can be tough underfoot. You should also pack a plug adaptor and bring along a good quality rucksack, for any excursions you might undertake. Sun cream and after-sun products are also worth packing, as are sunglasses and a sun hat. There’s plenty to see and do on the island, so you could easily fill a week or even two. Some of the cities are great for short breaks or long weekends, so it’s really up to you how long you book for. Famed for its food, there’s no shortage of fantastic restaurants to be enjoyed on the island of Sardinia. Almost all will serve locally sourced produce, including some amazing seafood and freshly baked Sardinian breads. Wine produced in local vineyards is also popular, as are local beers. The hotels we have selected for our package trips all have incredible restaurants of their own, so you don’t need to go far for a fine dining experience. Hotel staff will also be able to make recommendations for restaurants in the local area. There are some absolutely incredible beaches in Sardinia, which make a great day out whether your children are teens or tots. Since all children are fascinated by caves, visiting the Grotta di Nettuno can be a fantastic day out. You can also take Tuk Tuk tours of the city of Cagliari, letting someone else do the driving so your can sit back and soak up the atmosphere. 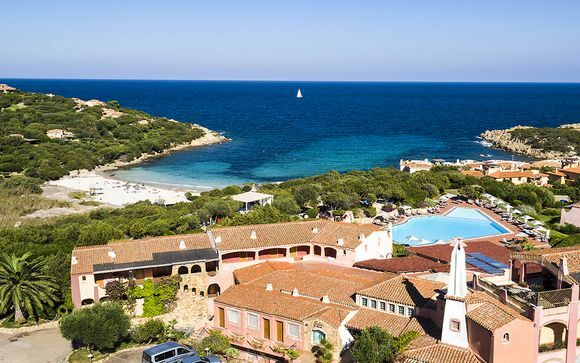 The easiest way to travel to Sardinia is by plane, with flights leaving from some of the UK’s main hub airports. For peace of mind, booking your package from Voyage Privé guarantees you seats on the flight of your choice both there and back. If you want to take your family dog along, they will need to be microchipped, vaccinated against rabies, have a pet passport and have been vaccinated at least three weeks before you travel. The Sardinia Ferries company also says that it is dog friendly if you’re arriving by boat. Planning your budget depends on whether you want to go frills or no frills. You could get by on as little as €120 a day if you economise or upwards of €250 if you’re happy to spend more on days out and meals. If you’ve booked a package with us, most of the stress of budgeting will already have been taken care of and all you need to think about is spending on the fun things! Sardinia is an island covering 24,100 square kilometres, and the range of different ecosystems is staggering. There are pristine white beaches, breathtaking cliffs falling away into the Mediterranean and rugged mountains. There are also areas of dense woodland and parts of the island are uninhabited, with Sardinia claiming the title of the most forested region of Italy. There are some uncommon animals to be found here too, including albino donkeys, wild horses, Sardinian deer and the European pine marten. You’ll also see rare varieties of salamander and birds of prey, alongside the indigenous Sardinian sheep. Discover our offers to Sardinia : Weekends, holidays, great deals, last minute deals, Sun holidays. Visit all our travel guides.